Many years ago, people of society were raised with a certain air about them. Now, imagine that one of those society women realized, though she had wealth, she was indeed lacking in her life. The changes she then made were quite admirable. That's what I felt for most of the book. I knew there was romance in the story, I even knew who was in love with whom, still, no romance was in the air. Exactly what you had hoped for and more. Enough more to want to read more, but there was none left. I liked this story, through and through. This story, though very, very different from the Sadie Hoffmiller books, I loved and know so many of you will too. 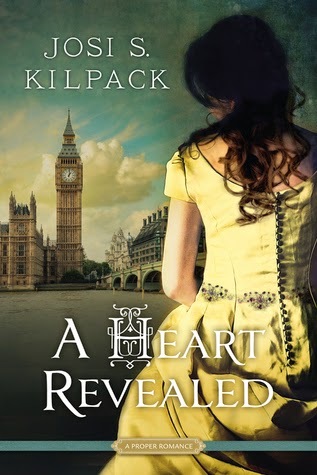 For Kilpack fans, read it, but don't compare it to the culinary mysteries. They're nothing alike, but in a good way. Oh, I know her from her mysteries, didn't know she had other types of books out there too! I have a few of her book in the Culinary Mystery series that I need to read. Glad you liked this one so much. I'm not generally a romance reader but this one sounds interesting with the heroine losing her hair. Definitely an unusual issue for a romance! I hardly read any historical romance, but the ones I do need to have a lot of substance to them outside of the romance. If it is only about the romance, I'm bored.